We are fully stocked up on beans, soup, dry pasta and chopped tomatoes! 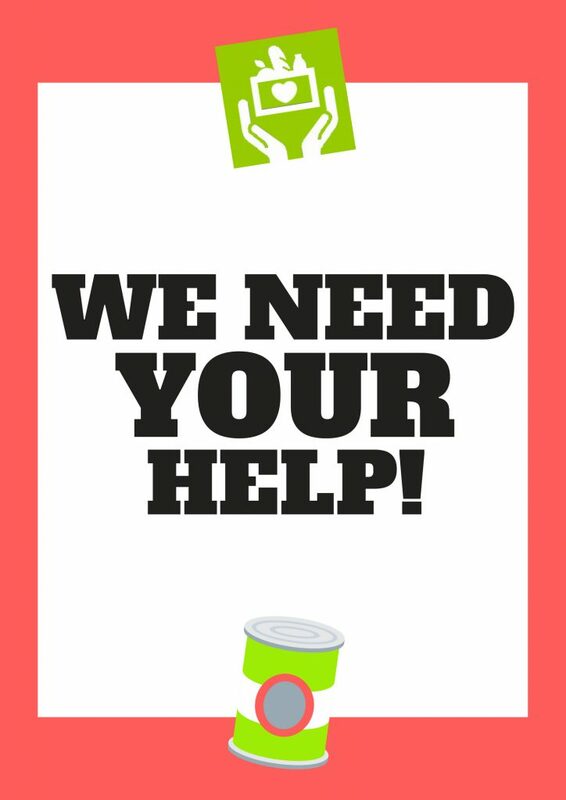 We still desperately need main meals (pies, stew, chilli, veggie, curry etc) Long-life milk, Tinned fruit, Pasta/noodle snacks and shower gel . 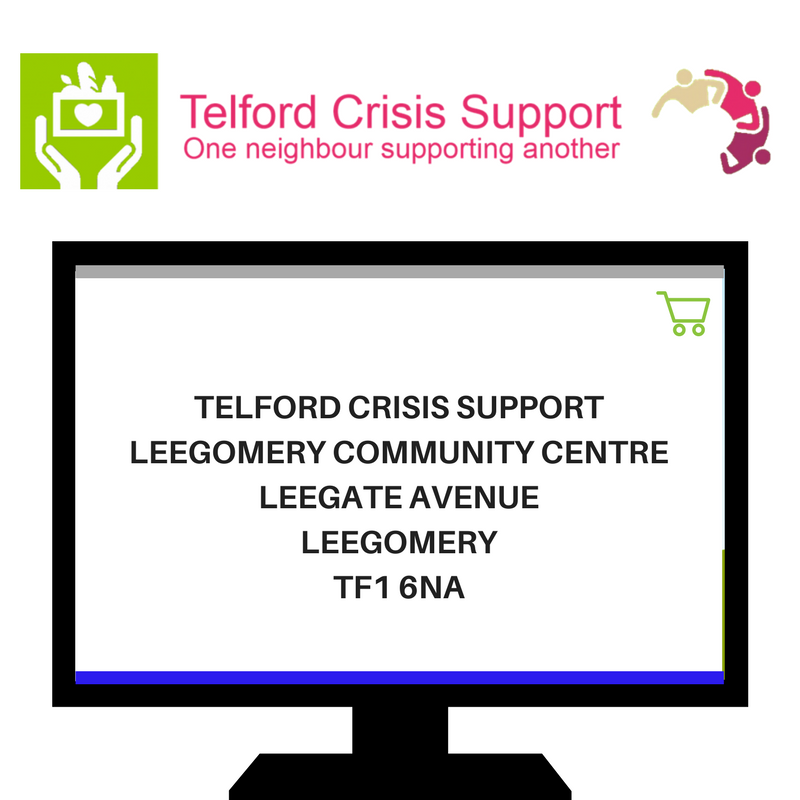 If you can help, we are based at Leegomery Community Centre (rear entrance) or we have the following donation locations across the borough. 14th-20th May is #MentalHealthAwarenessWeek. If you need someone to talk to or some tips to improve your emotional well-being, there are a whole host of services in Telford & Wrekin that can help. Our doors are always open to those in need. If you know anyone that could benefit from a chat and a cup of tea, come and see us at Leegomery Community Centre! Author Admin1Posted on May 1, 2018 Leave a comment on Friday Food drive! 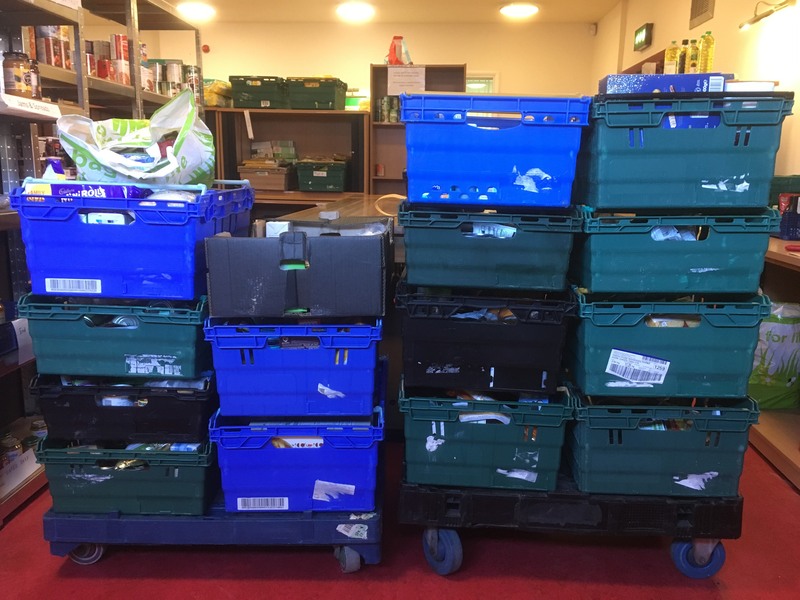 If you feel like you would like to donate food but don’t have your own car or transport, Please consider doing a basic online shop of essentials and using our delivery address at the checkout! 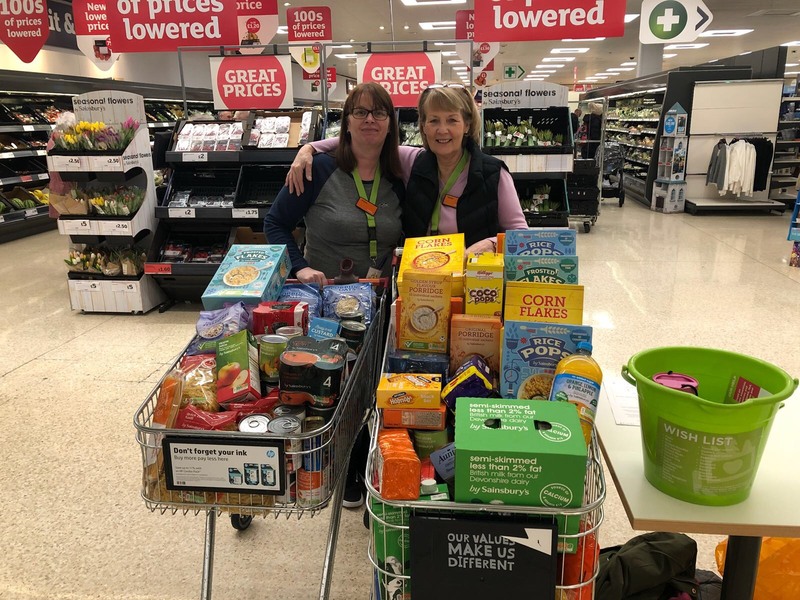 In just two and a half hours, Eileen, Kathy and Cat collected over two full trolleys of food weighing in at just over 150kg! In just two days of returning from the bank holiday weekend, 32 referrals have been put through for emergency food support. We are very fortunate that we have a van to be able to accommodate so many parcels however we need your ongoing support to ensure that we can keep it on the road such as the costs of diesel, tax, insurance etc so please, if you feel like you can make a small gesture, please click on the image below to make a contribution. 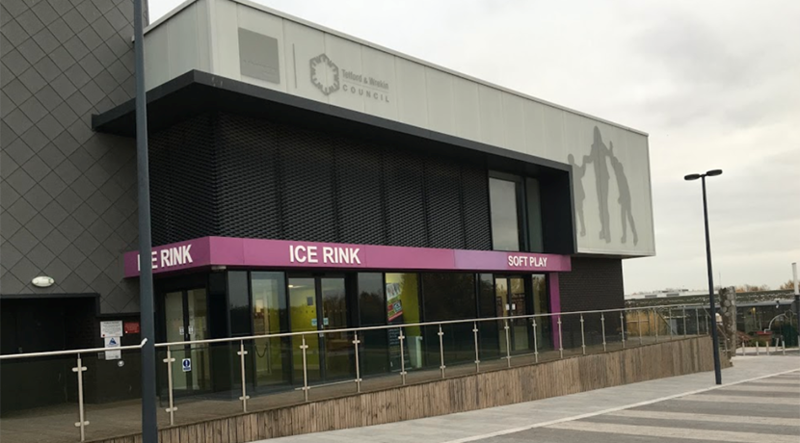 There is now a Foodbank donation point at Telford ice rink in Southwater. If you’re planning a day out with the kids or on your way to see the mighty Tigers play, please consider taking a donation along. Look out for the big green box next to the soft play zone! 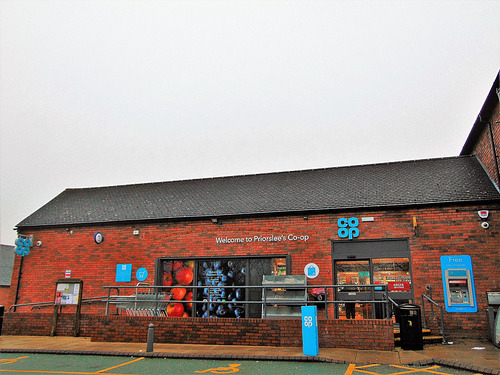 We are very pleased to say that the staff at the Priorslee Co op store have added a donation point for customers and the community to drop off any surplus items that could be used by the Foodbank to help to feed those in need. Next time you drop in, please make a donation if you can! Author Admin1Posted on March 6, 2018 Leave a comment on New donation point!